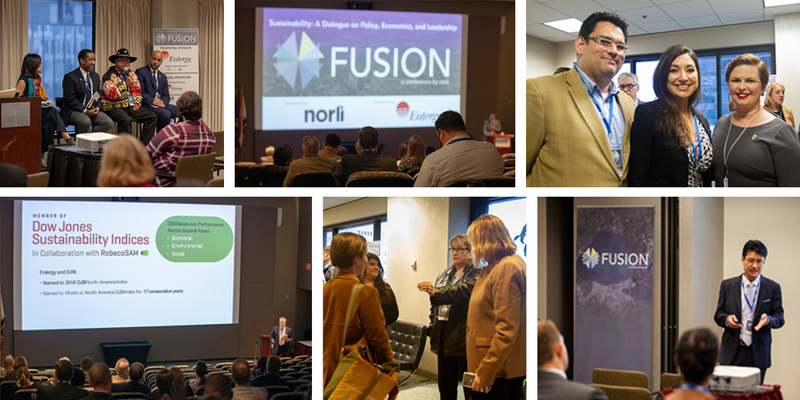 New Orleans, LA – On November 1st, the New Orleans Regional Leadership Institute (NORLI) ushered in a new era with the launch of its inaugural FUSION Conference. With a succinct agenda packed with experts on sustainability, energy, and climate change, the event attracted a broad cross section of NORLI Alumni and thought leaders from around the state. The Conference kicked off with a keynote from Bob Perciasepe, President of the Center for Climate and Energy Solutions and former Deputy Administrator of the U.S. Environmental Protection Agency (EPA). Following lunch, Bill Abler, VP of Commercial Development & Innovation with Entergy Corporation provided a keynote on “Commercial Development through Sustainability and Innovation,” and the conference was closed out with a keynote by Congressman Garrett Graves who provided a national and state level perspective on the most pressing environmental policies and coastal issues impacting Louisiana. Additionally, throughout the day attendees learned from presenters and panels discussing related topics such as environmental justice, pro-climate economic development, renewable energy markets, and depoliticizing climate change. To stay updated on future events, please visit www.norlifusion.com or visit NORLI’s website at www.norli.org. The mission of the New Orleans Regional Leadership Institute (NORLI) is to help promote regionalism. NORLI provides current and emerging leaders with a more thorough understanding of issues and an enhanced ability to collaborate for the greater good of the community. The institute selects a diverse group of leaders to participate in a thought-provoking, nine-month educational program. Participants experience a variety of statewide issues presented through lectures, on-site visits, readings, discussion groups, simulations, and other leadership development activities. For more information, please visit norli.org. Fusion is a one day conference dedicated to convening national experts and local leaders to discuss a single issue critical to the future of our Region and State. Through benchmarking and brainstorming, attendees will leave with a greater understanding of the challenges before them and opportunities to influence the future of our region. For more information, please visit norli.org. 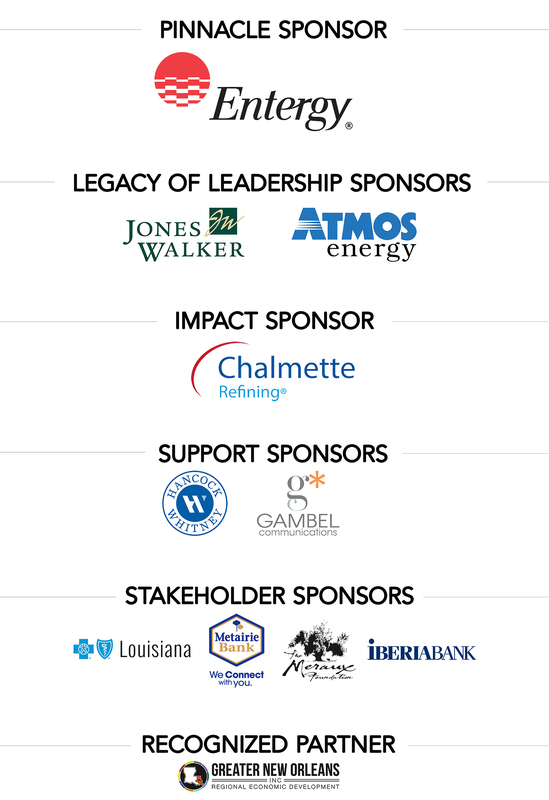 The mission of the New Orleans Regional Leadership Institute is to help promote regionalism. NORLI provides current and emerging leaders with a more thorough understanding of issues and an enhanced ability to collaborate for the greater good of the community. The institute selects a diverse group of leaders to participate in a thought provoking, nine month program. Participants experience a variety of statewide issues presented through lectures, on-site visits, readings, discussion groups, simulations, and other leadership development activities. Copyright © 2018 New Orleans Regional Leadership Institute, All rights reserved.